Laxatives for Weight Loss – Are They Worth the Risks? Weight loss is a hard, slow process, that takes up a lot of patience and willpower from you. Some people just don’t have enough patience to go through the whole process, with the appetite change, slowly adapting body and the nagging feeling of hunger they get. When they snap, they start looking for alternatives to lose weight quickly and with minimum efforts, and, unfortunately, the alternatives aren’t always safe and efficient. Read moreLaxatives for Weight Loss – Are They Worth the Risks? People always say that life doesn’t give you everything, you gain something, you lose another, and sadly that applies to weight loss too. You may notice your weight on the scale getting down very quickly, but don’t get too excited, your body isn’t just losing fats, it’s getting rid of your muscles too. 16 Weight Loss Side Effects You Didn’t Know About! We tend to only think about the positive outcome when it comes to weight loss. When you’re looking good, what else matters? Actually, a lot matters. You will be surprised when you know that weight loss actually has a lot of consequences, that no one ever mentions. We’re not inviting people to gain weight again, but you need to be careful if you’re planning a life-changing weight loss plan. Read more16 Weight Loss Side Effects You Didn’t Know About! Fit at 40 – Practical (& Simple) Tips To Conquer Your Body! Aging is inevitable! You can’t do anything about it. You can, however, make sure that you age in style! Even though the age of 40 is not considered to be old, but getting fit at forty can be more challenging. Read moreFit at 40 – Practical (& Simple) Tips To Conquer Your Body! Not Losing Weight? Here Are 21 Reasons Why! We’ve all started a diet some time in our lives, and couldn’t continue it because of one reason or another! One of the most common reasons to stop a diet abruptly is not seeing any change on your scale. This can cause your motivation to fluctuate noticeably, and you don’t want that to happen if you have big plans for yourself and your body. 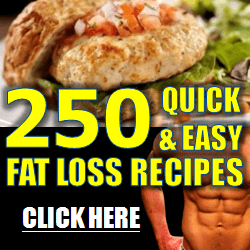 Read moreNot Losing Weight? Here Are 21 Reasons Why! Red Tea Detox VS Fat Decimator System – Choose Wisely! Indecisiveness is your problem? This is the place for you! Ever been confused between two products? We all were at some point in our lives. You just can’t decide which one of them to buy. In this case, we have Red Tea Detox Program and Fat Decimator System. Read moreRed Tea Detox VS Fat Decimator System – Choose Wisely!